Every parent knows just how costly it can be to set up a nursery. From cribs and changing tables, to dressers and chairs, you can spend many thousands creating the perfect room. And then, after a few years, it's time to get rid of most of it. With safety regulations constantly changing, it may not be possible to sell used baby furniture on the secondhand market. But with a little creative thinking, you can repurpose these items. Here are eight ideas to get you started. Cribs can be an expensive purchase, and yet they don't serve much of a purpose beyond a few years. However, with a little creativity and ingenuity, you can turn that crib into a wonderful desk/workstation that is the perfect height for you children. This instruction guide gives you all the tips you need to create a workstation that's both attractive and functional, and reuses almost all of the crib. All you really need to purchase for the conversion is a piece of MDF or particleboard, and some blackboard paint. If you dismantle the crib and are wondering what to do with the crib spring, don't throw it out. With some chain, a few hooks, and a little paint, you can turn that boring crib spring into a drying rack for the laundry room, or a pot rack for the kitchen. Just make sure the ceiling hooks you use go into something substantial, you don't want the whole thing coming down on you. The basic changing table — three shelves, the top one being used to hold a changing pad — is a functional piece of furniture for any baby room. Of course, once the toddler is out of wearing diapers, there's not much call for it. Well, the way it is set up makes it an ideal potting table. You really don't need to do much to it, other than painting it a color that matches your new set up. If you have a little more time and materials, you can add a handy hutch to the top, making the changing table into a fully functional potting station. This doesn't just apply to the baby dresser, but any old dresser you have that has outlived its usefulness in the bedroom. Take an old dresser, apply a new coat of paint, and add some hooks, a paper towel holder, a stone top, and some new hardware. The result is a kitchen island that completely transforms the look and feel of the room. If you don't like stone, you could make the top of the island a butcher block. Add wheels, and it could move from kitchen to dining room, making a handy serving station. Turn a crib on its side 90 degrees, and you suddenly have a whole lot of real estate that will hold dozens of magazines comfortably. The best part is, this is as simple as remove the side and propping it at a slight angle against the wall. Voilà, instant magazine rack. If you want something a bit more permanent, you can mount it to the wall, either at an angle, or flush (leaving enough room to let the magazines easily slide over the rails). A touch of paint can really make this one stand out as a feature on a wall. While you're busy turning the crib into something cool, don't ignore the mattress. With a little ingenuity, you can quickly turn it into a fun and functional outdoor seating station. 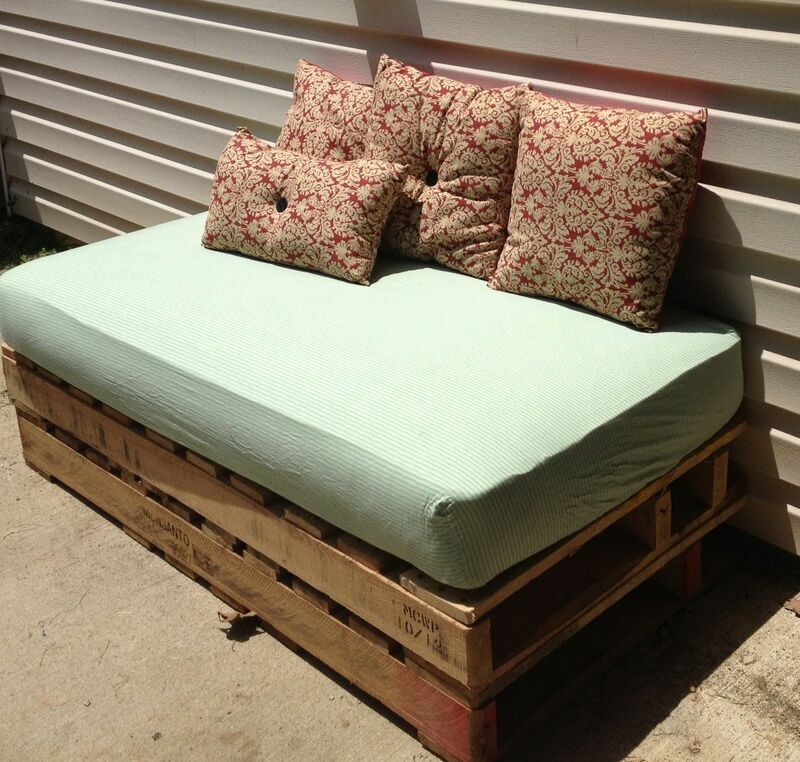 It can be as simple as a crib mattress cover, some old palettes, and some throw pillows. Many crib mattresses are designed to be waterproof, for obvious reasons, so they hold up well outdoors. You can also turn it into a daybed for use indoors. Or a dessert trolley, if you feel the need to wheel out your impressive confections on a regular basis. However, the bar cart is a fantastic use for that old changing table, and with some wheels and a new paint job, few people will recognize it as a piece of old baby furniture. Adding a cheap accordion-style wine rack is a great finishing touch, especially if you paint it the same color as the cart. If you happen to have a crib with a solid headboard and footboard, you can quickly and easily turn them into a very cool easel for signage. Use chalkboard paint (or whiteboard material), and you can make it customizable on a daily basis, which is great for small businesses. But it's also a very handy thing to have to announce birthday parties, anniversaries, play dates, and so on. What have you done with furniture the kids have outgrown? 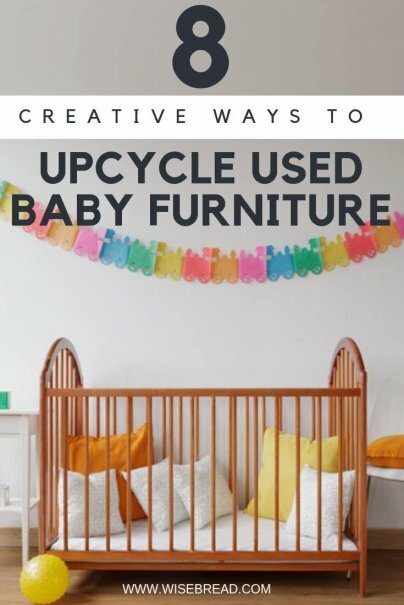 Wow very interesting ways to upscale and convert old baby furniture. I particularly like your recommendations for baby changing tables.